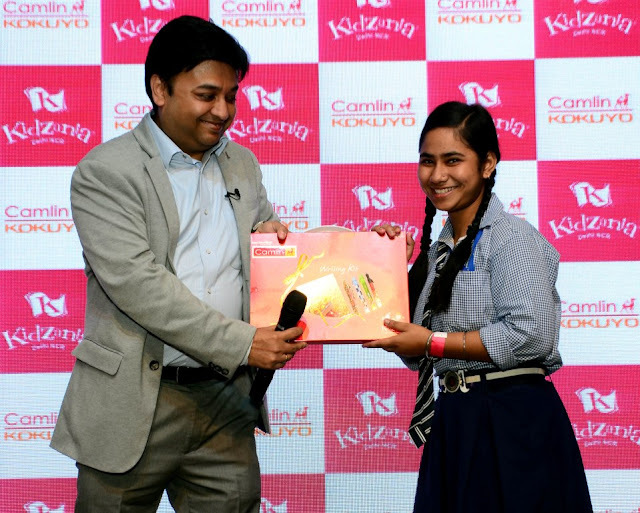 27th March, 2017 Mumbai: KidZania Delhi NCR, a Global Indoor Theme park, joined hands with leading stationery and art material marketer -- Kokuyo Camlin to create a unique initiative – `Unwrapping Happiness’ at KidZania, Delhi NCR. 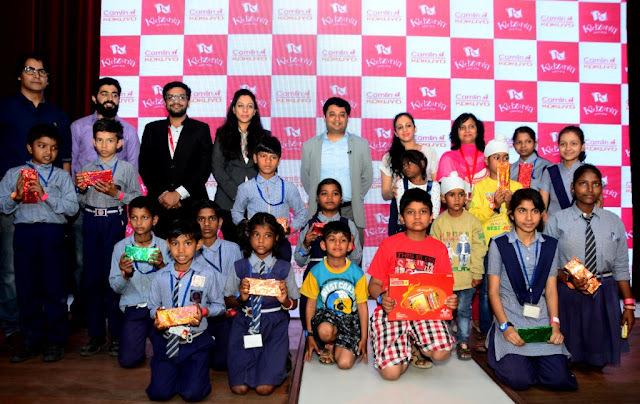 In a month long activity conducted by KidZania, children visiting the theme park were encouraged to wrap over 2000 goodies bags with Camlin products, which were then distributed to underprivileged children from the NGO Saraswati Bal Niketan at a glittering event. The idea behind this initiative was to empower children to create an impact on the society in the areas of education, environment and wellness. The children from Saraswati Bal Niketan had a gala time at KidZania Delhi NCR. They participated in the games and activities that were hosted for them. There were overjoyed when they received their goodie bags from representatives of Kokuyo Camlin and KidZania. The initiative -- `Unwrapping Happiness’ was coined with this very purpose in mind. 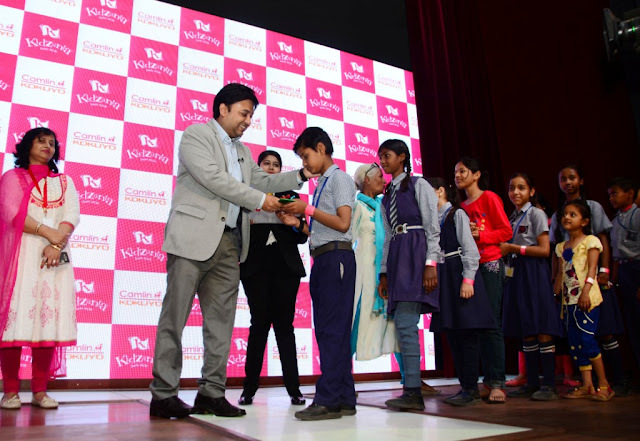 The ceremony was attended by the representatives of Kokuyo Camlin and KidZania Delhi. KidZania Delhi NCR is built like a city across 96,000 sq. ft. where children can independently explore and choose to role-play from 90+ exciting careers like pilot, surgeon, RJ, chef, fire-fighter among many more. KidZania emulates the workings of a city, complete with a functioning economy and its own currency. Each experience is designed to empower kids, giving them the confidence to be their best selves, and inspiration to be great global citizens.